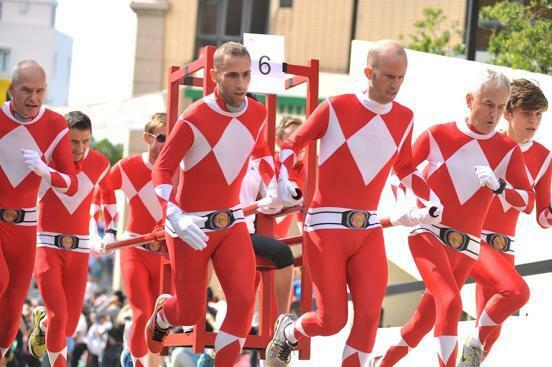 The Race is held in a real carnival atmosphere, with many teams dressing up in a variety of character costumes and over the years has helped raise many millions of dollars for small, Hong Kong based charities. By participating in this meaningful event, your company can boost staff morale, reinforce group cooperation and demonstrate the company cares about the local community as well as its staff. Entering a team in the race, a fun and team building experience can be achieved for your employees and great exposure for your company name. To date, around $70 million has been donated to 138 Hong Kong charitable associations and organizations. 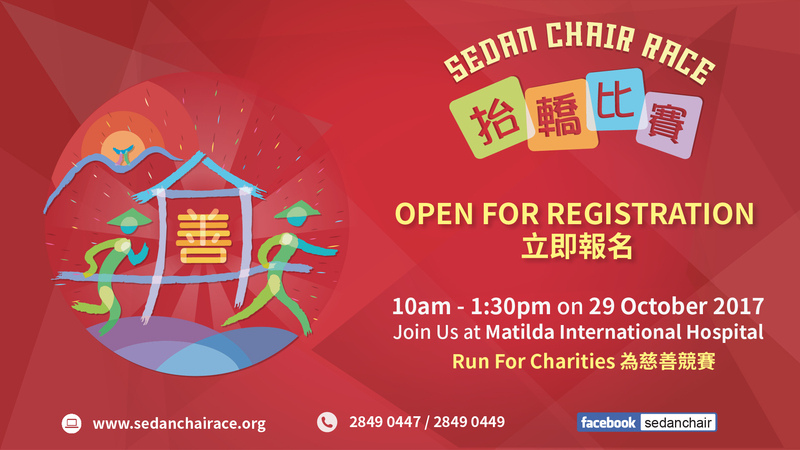 Join the Sedan Chair Charities Fund and race for a good cause now! Participants are required to run for a 2.1km route, starting from Matilda International Hospital, with 6 – 8 runners and 1 passenger on the sedan chair. You can also ask your friends to be the cheerleaders of your team! Click here for the rules of the race. Places are limited but team applications are now open! You are highly recommended to submit forms for this funniest race ever as soon as possible since the Sedan Chair Charities Fund can only accommodate 53 teams on the course. For more information and to download the application form, please visit their website. About Sedan Chair Charities Fund : The aim of Sedan Chair Charities Fund is to raise money for needy charities in Hong Kong. Race donations will go to support lesser known organisations that have very limited resources to do fundraising themselves. If you like to run and dress up, this one is for you. The Sedan Chair Race is now open for registration. 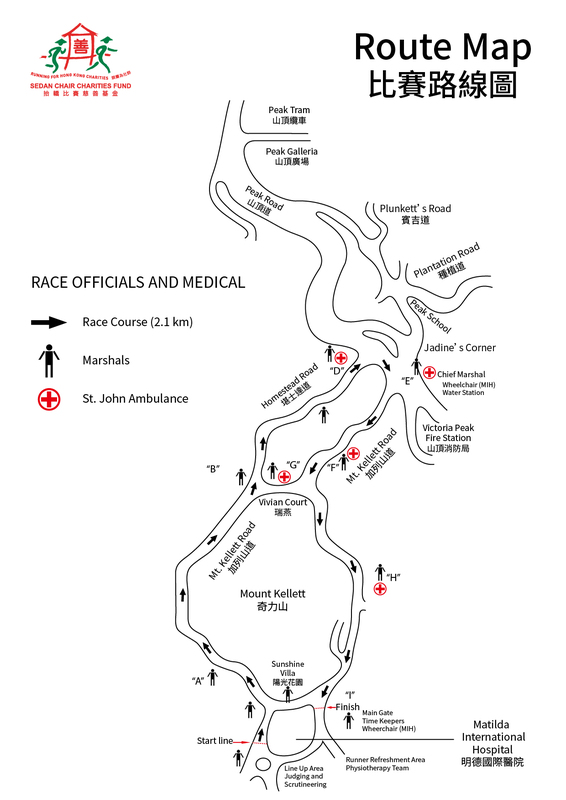 Race teams consist of 8 runners and 1 passenger, racing along a 2.1km route along the Peak carrying a sedan chair in support of lesser known charities that have very limited resources to do fundraising themselves. The race is a fun and meaningful event, filled with colourful costumes, elaborate chair designs, where runners with a need for speed can feel opt for a greater challenge. perfect for all rounded team building and having great exposure of their company name. teams can be enrolled on a first come, first served basis. To enroll, visit the sedan chair website www.sedanchairace.org for the entry form or simply register online. Enquiries: 2849 0447. This year, apart from the amazing race, the entertaining element of the event will focus on great food and music. Race teams, spectators as well as families are welcome to come and enjoy a large selection of food, snacks, icy treats, drinks and beer. The day will be filled with wide array of interactive games, street dancing, and music performances from 10am to 1:30pm. A little background: Sedan Chair Charities Fund (SCCF) was established in 1975. It is a registered non-profit organisation with a mission to help local charities that receive limited support from the Government. Each year, the Sedan Chair Race is held at the Matilda International Hospital located at the Peak, attracting athletes from various nationalities to join the race. Since its inception, over $68 million has been donated to 134 Hong Kong charitable associations and organisations. If you like to play dress up, hanker after the days of yore in old Hong Kong, then this event is for you! 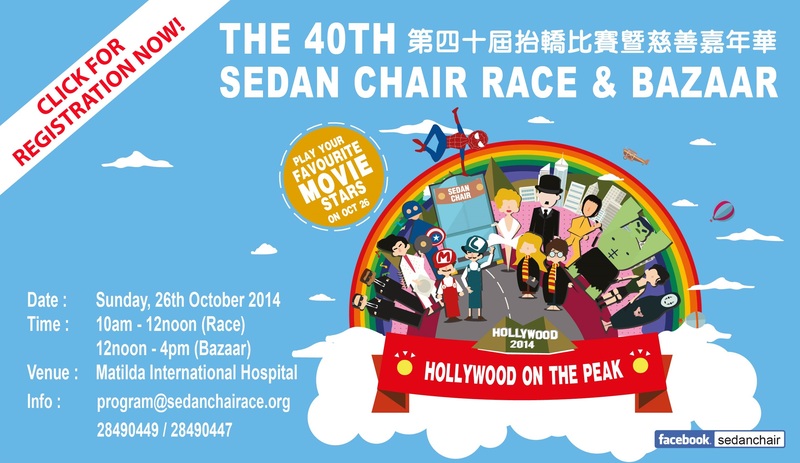 Rent a sedan chair and join the annual Sedan Chair Race and raise money for charity! Information about registration, entrance requirements, and sedan chairs for rent are available from their website. So come out, play dress up and get ready for some serious fun! A little background: in 1975 Nurse Joyce Smith created a competitive sedan chair race for charity as a means to showcase the location and facilities of the Matilda International Hospital. From this the Sedan Chair Charities Fund was established. Today the annual Sedan Chair Race is probably the most colourful fundraising event in Hong Kong’s annual charity calendar. 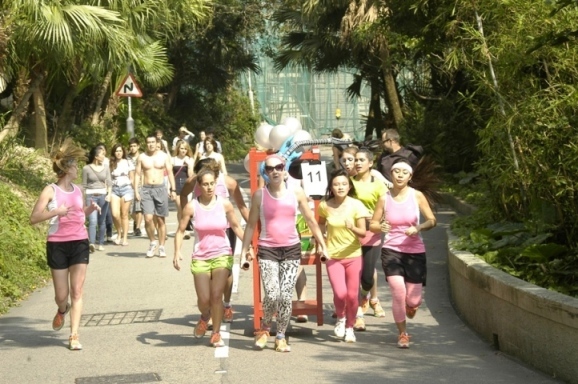 Their Mission: Their aim is to raise money for needy charities in Hong Kong mainly through their annual October Sedan Chair Race and Bazaar, supported by over 40 running teams and 3,000 visitors. They also organise various fund-raising activities to raise more money. The fund raised goes to support charitable organisations that generally do not receive assistance from the Hong Kong Community Chest, Hong Kong Jockey Club or the Government – none go to the Matilda International Hospital. Carry a Sedan Chair, Race for Charity! Registration is now open for the 2013 Race! The 2013 Sedan Chair Race will be held on October 27, 2013. The main fundraising event of the Sedan Chair Charities Fund, the Sedan Chair Race consists of teams carrying sedan chairs racing around the Peak on a route (2.1km), starting from The Matilda International Hospital. All companies, clubs, associations and schools are welcome to enter a team for the Sedan Chair Race. Whether you are a racer or into the fancy dress aspect of the race, there is something for everyone. 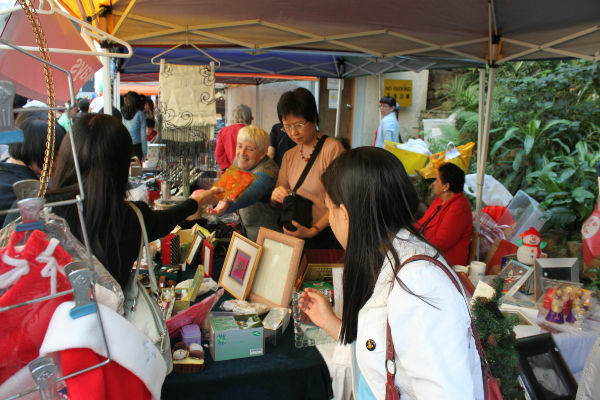 I noticed a number of searches already for the annual Christmas bazaars and fairs that take place in Hong Kong each autumn, here are some. I will add to the list as and when information becomes available. They are all worthwhile causes and a great way to get your Christmas shopping done early. 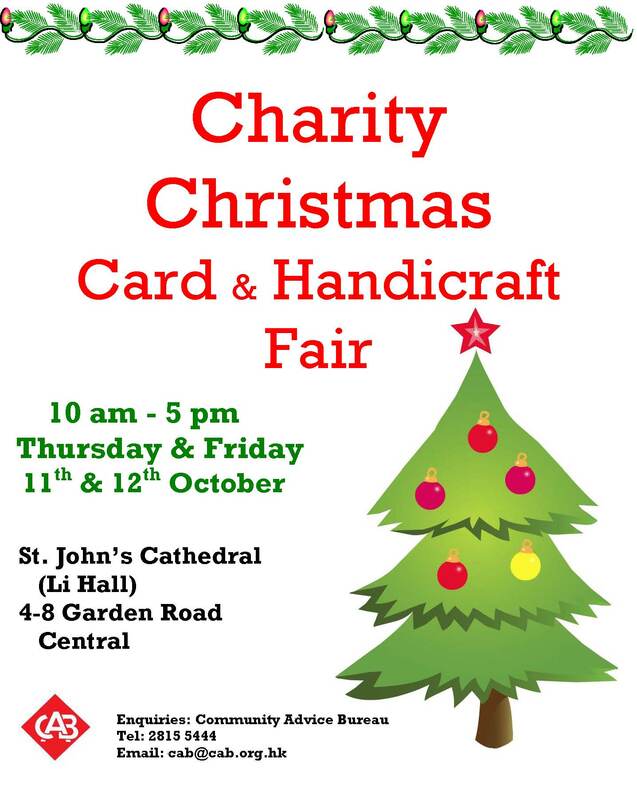 Get your Christmas shopping done early with a wide offering of charity Christmas cards and handicrafts for sale. Visit more than 50 stalls selling handmade crafts, jewellery, accessories, books etc. on the day. Proceeds are donated to the Charity of the Year: RainLily Hong Kong’s first one-stop crisis center for the victims of sexual violence. 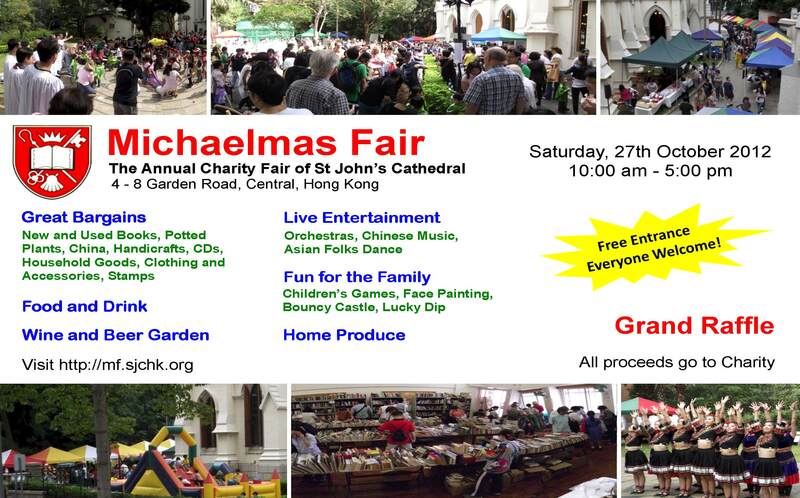 This is the annual fair of St. John’s Cathedral in Central. With many bargains to be had it features new and used books, potted plants, china, handicrafts, household goods, clothing and numerous items from cards, wrapping paper to décor for Christmas. Don’t forget the raffle with sumptuous prizes. Proceeds benefit various charities supported by St. John’s. In 1975 Nurse Joyce Smith created a competitive sedan chair race for charity as a means to showcase the location and facilities of the Matilda International Hospital. From this the Sedan Chair Charities Fund was established. Today the annual Sedan Chair Race & Bazaar is probably the most colourful fundraising event in Hong Kong’s annual charity calendar. The funds raised goes to support charitable organisations that generally do not receive assistance from the Hong Kong Community Chest, Hong Kong Jockey Club or the Government – none go to the Matilda International Hospital. Since 1981, the annual Sandy Bay Charity Fair has been held on the first Saturday in November, from 10:00 a.m. to 5:00p.m. Organised by The Society for the Relief of Disabled Children and held at the Duchess of Kent Children’s Hospital at Sandy Bay at Pokfulam, the Fair is legendary and well attended. Loads of bargains, lots of fun, laughter and delicious food. All net proceeds are used to support the Hospital to improve medical facilities. St Stephen’s Chapel Christmas Fete is one of the highlights of the year. It’s as near as you get in Hong Kong to a traditional English summer fete, with bouncy castles, charity stalls, coconut shy, games, bands, dancers and entertainment, Santa, and plenty of food and drink. And not forgetting the Chinese lion dancers and acrobats! The Fete is held on the School Playing Field, with space for children to play games and run around all day to their hearts’ content. Funds raised go to the charities they support. The history of St. John’s spans back to 1847 when the first cornerstone was laid. Deeply rooted in the traditions of Anglicanism and yet at the same time exercising ministries which reach out into the wider life of the community, the Cathedral is a much used and much loved building, an icon in Central. Their outreach efforts are numerous and include St John’s Cathedral Counselling Service, Helpers for Domestic Helpers, HIV Education Centre, and the Mission for Migrant Workers. In 1975 Nurse Joyce Smith created a competitive sedan chair race for charity as a means to showcase the location and facilities of the Matilda International Hospital. From this the Sedan Chair Charities Fund was established. The aim is to raise money for needy charities in Hong Kong mainly through the annual October Sedan Chair Race and Bazaar, supported by over 50 running teams and 3,000 visitors. They also organise various fund-raising activities to raise more money. The fund raised go to support charitable organisations that generally do not receive assistance from the Hong Kong Community Chest, Hong Kong Jockey Club or the Government – none go to the Matilda International Hospital. The Society for the Relief of Disabled Children (SRDC) was established in 1953 with the mission to provide medical, surgical, rehabilitation and educational services to disabled children in Hong Kong. The Society, using funds generated by the generosity of the community, established a convalescent home in Sandy Bay in 1955 for sick children stricken with skeletal tuberculosis. The home initially had only 50 beds but was subsequently expanded in stages to become the Duchess of Kent Children’s Hospital at Sandy Bay (DKCH) in 1968 and was in the front line fighting against tuberculosis, poliomyelitis and spinal deformities. The Hospital became internationally recognized for this work and since then, has remained to be a training center for surgeons and health workers around the world. – supporting the Kids on the Block (KOB) Puppetry programme that travels around Hong Kong schools teaching children to understand and appreciate the disabled. 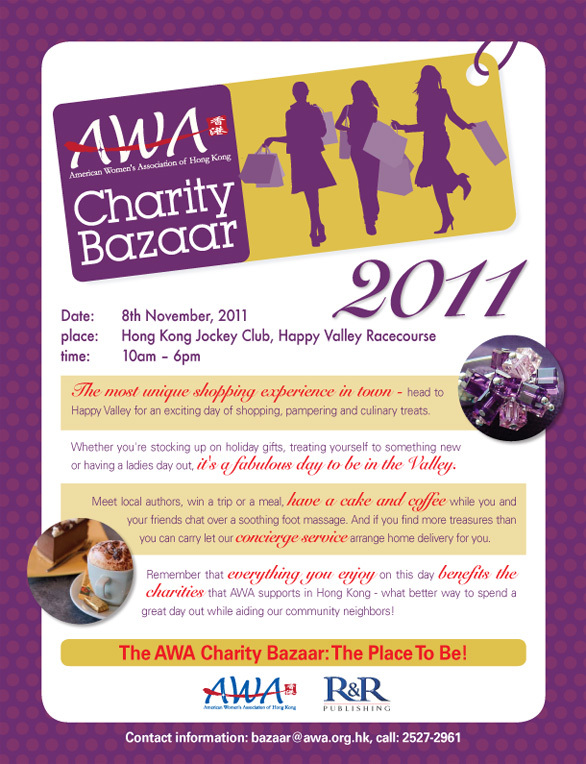 The American Women’s Association (AWA) of Hong Kong was founded in 1956 as a non-profit, charitable organization. As a voluntary organization of women, they support Hong Kong charities and schools through community service and monetary grants while also providing educational and social activities for our members. On average, the AWA provides approximately $1 million annually to Hong Kong charities and educational institutions to support programs and services that benefit children, the elderly, handicapped, women and families, community activities and students. 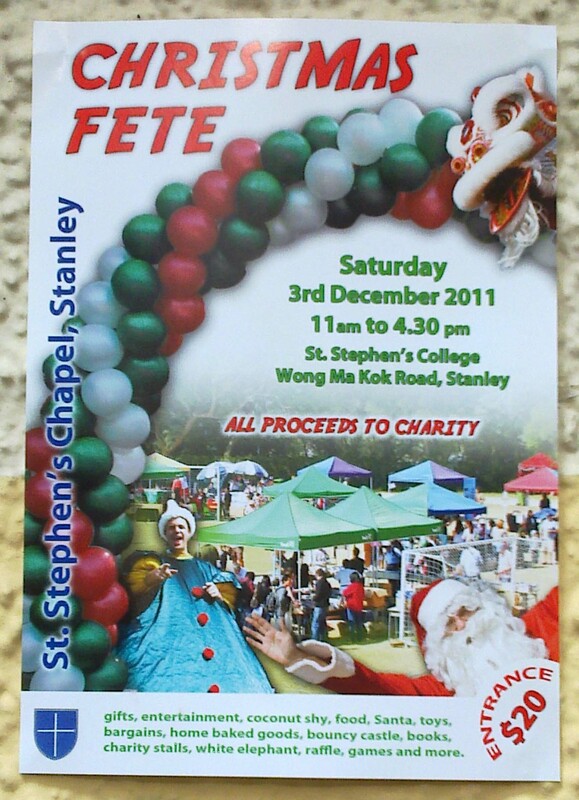 St Stephen’s Chapel Christmas Fete is as near as you get in Hong Kong to a traditional English summer fete, with bouncy castles, charity stalls, coconut shy, games, bands, dancers and entertainment, Santa, and plenty of food and drink. Funds raised go to the charities they support. Entry $20 for adults, children free. St Stephen an Anglican / Episcopal Church is set in the lovely grounds of St Stephen’s College, Stanley, on the south side of Hong Kong Island. St Stephen’s supports three local charities and one in China through fundraising, publicity, and active involvement: Bethune House a Women’s Refuge for Foreign Domestic Helpers in Hong Kong, Crossroads International who recycle Hong Kong’s good quality unwanted goods, shipping furniture, clothes and equipment to developing countries around the world, and the Liangshan Leprosy Project which provides healthcare, health education and development assistance to leprosy villages in the mountains of Liangshan Prefecture, in the south of Sichuan Province. Go have some fun, get your Christmas shopping done early and most important of all, support local charities.